Dental City Disposable Toothbrushes come in both pre-pasted and plain options for what works best for your practice. 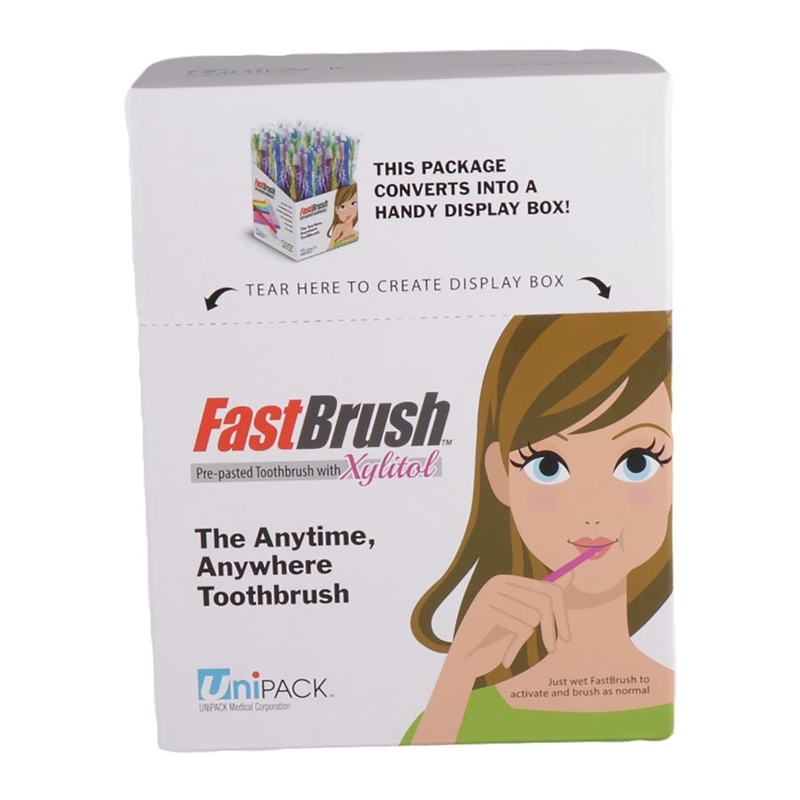 They are the perfect solution for the next time your patients need to brush up before their visit. We use a USA formulated mint toothpaste solution on our pre-pasted version. Each come with 39 tufts and soft-end rounded bristles that your patients will appreciate. Each brush has a 6.5inch handle and comes individually wrapped. Available in 4 assorted colors. Use the drop down above to choose your preferred style.